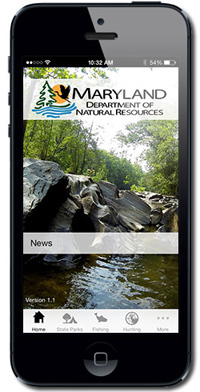 The MD Department of Natural Resources is providing free app for Andriods or Iphone users. I have an Iphone and found the app by going into my App Store, searching for Maryland Access DNR and then downloading the app. There is more to this app then just checking in a harvest. There are state park directories, the ability to make park reservations (Let’s go RVing! ), fishing locations, trout stocking, etc. You can also purchase your fishing or hunting license directly from this app. To be honest, I haven’t purchased from the app as there is something to be said to just getting your license in person, at the store. 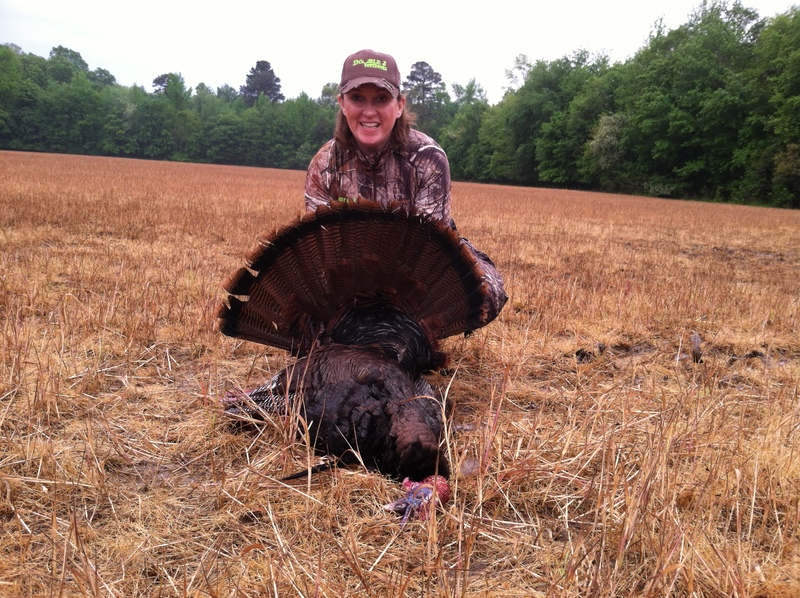 Some practical advice for the men who wished their wives hunt…. For many years I didn’t hunt. Between kids, work, and my family needing to eat and have clean clothes, there just wasn’t time to hunt. And at the end of the day, I was tired! It didn’t help my disposition when I would hear things like the woods are so relaxing, etc. Yeah, buddy I’m sure the woods are relaxing – I wouldn’t know! 1 – Start in warmer weather. Spring turkey hunting is a great time of year. Or shed hunting in March. Don’t expect your wife/girlfriend to get excited about hunting in the dead of winter. 2 – Take it slow. Make arrangements for the kids to get picked up from school. Both of you can take off work early, get some lunch, go sit in the woods. No rush. Just sit and watch. And let’s face it; that is really what most hunting consists of, a lot of sitting and waiting. If you can arrange a quiet afternoon it will earn you some brownie points. 3 – Don’t expect to be sitting 20 feet up in a stand. I was deathly afraid of sitting in a stand for many years. And quite frankly it wasn’t worth my time to worry about getting over that fear. But when hunting really took off for me I knew I had to. But I first started sitting in a blind – in a chair – with a cushion. 4 – Make sure everyone is comfortable. Make sure your wife/girlfriend is warm enough. Remember sitting in a blind or stand for multiple hours outside is not like taking a walk through the woods on a nice day. And most people who aren’t used to hunting just don’t realize how cold you can get while sitting. So even if it seems like overkill, make sure she has extra layers and gloves. A seat cushion is much appreciated as well! 5 – Take snacks and a drink. Make a picnic out of it. Seriously a little romance in a blind goes a long way, men. Of course, hunting is not all about cushions, staying warm and enjoying the day. Some hunts are tough – they need to be tough to get at the big game. Some hunts demand a lot of walking and sweating despite the fact that it’s 32 degrees and the sleet is hitting you in the face. But you had to go out OF COURSE because the wind was right. I get it-I’ve been there. It took me a while and now I fight with my husband over stands. But she just isn’t there yet and that’s a good thing-there’s time to work on that. I think that with time you’ll discover different views and approaches to your hunting just by including your partner. Below are some things that are always in my pack. I just will not go into the woods without them – no matter the season. Pack of tissues-especially during the spring turkey season! Saline solution-nothing worse than a dry contact lens in the stand! Additional items will get added at certain times of the year for different seasons or my weapon of choice but there are some things this girl cannot do without! It’s a month away from turkey season. Have you been practicing your calling? This is my Tom from a year ago. Not my biggest bird but he was a big bully and had to go! I will be writing my story about this bird in a later post.